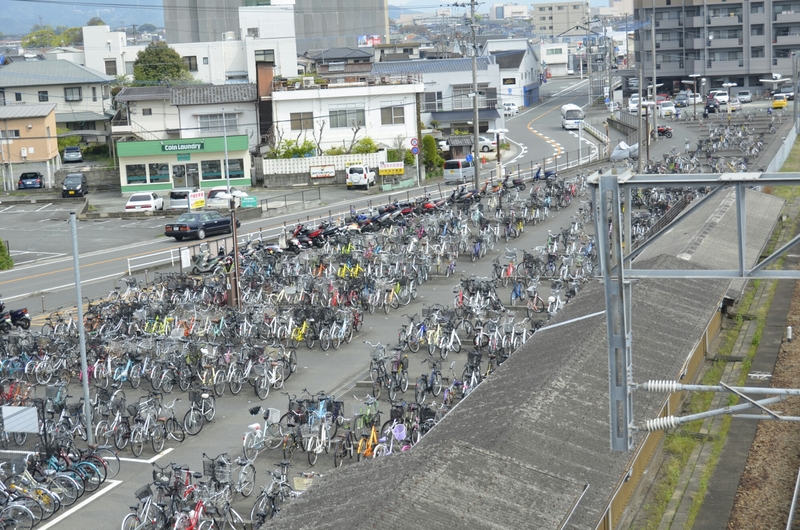 I was impressed with the number of bicycles I saw in Japan. Bike parking lots in cities both large and small were huge and usually full of bikes. Coming from a city that consistently rates as one of the most bike-friendly in the US, I was pretty impressed with the volume of bicycles I saw in Japan. That being said, there were some marked differences I observed about bikes and how they are used in Japan. In the US, one rarely sees a cyclist of any age riding without a helmet. Indeed, there are many laws that require the use of helmets in the US, at least for children. I cannot recall seeing anyone wearing a helmet in Japan while cycling. On the other hand, I never saw anyone riding a bike on any major streets. I only saw them on sidewalks and on the shoulders of neighborhood streets. Indeed, signs intended to warn pedestrians and cyclists of the dangers of traffic on major streets were downright frightening. I never saw anyone in a major hurry on a bike. People on bikes were usually riding at a comfortable speed, and not pushing themselves to perspiration-generating exertion. 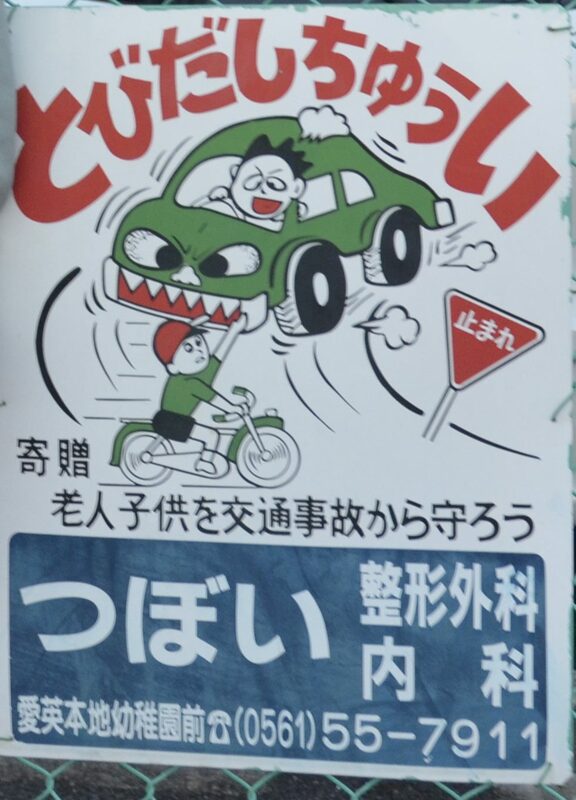 So the risks of cycling in Japan may be lower due to less direct interaction with traffic and generally lower speeds. In my bike-friendly city, every city bus has a bike rack and trains have hooks on which to hang bikes. Often, a bicyclist may ride his or her bike to a bus stop, board the bus, exit the bus, then use the bike to reach a final destination. I never saw a bike brought onto a bus or a train in Japan. Most cyclists seemed to be going to and from work or school, or running a simple errand. Since public transportation is so efficient and extensive in Japan, the necessity for taking your bike on the train or bus is probably low. 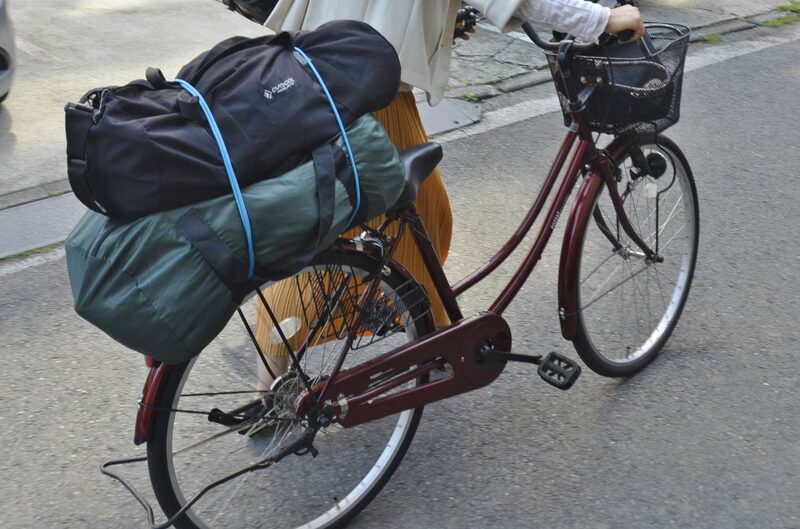 Indeed, many Japanese people likely have no trouble making do without owning either a bike or a car. Heavy bike chains and U-locks are ubiquitous in the US, and you rarely see a bike parked or left unattended without it being securely locked to a heavy bike rack, bar, or post. Even so, bike theft is a big problem in the US and, sadly, bike thieves are rarely caught and prosecuted. In Japan, I often saw bikes parked on their kickstands with no bike rack or heavy lock in sight. There might have been a small ring lock on the rear fender to prohibit the rear wheel from spinning, but such locks were so lightweight, so flimsy, that I wouldn’t have needed bolt cutters to disable them. You can barely make out the rear wheel lock. It is a small chrome arch just under the seat. On the other hand, I also didn’t see fancy, expensive bikes in Japan. In the U.S., people may spent hundreds or thousands of dollars for bikes with high-tech and lightweight frames, disk brakes, advanced gear systems, bike computers and lights, clipless pedals, paniers, and so on, but in Japan all the bikes I saw looked to be pretty utilitarian. Many appeared to be at least ten years old and downright drab … but reliable. I have no idea whether bike theft is a major problem in Japan, but based on the casualness of where I saw bikes parked and the overall lack of cyclist ostentation (in bike, gear, and riding), coupled with the generally low crime rate in Japanese society, I suspect the level of bike theft (and therefore the need for bike security) to be extremely low.